The internet has flung the doors of most businesses wide open, regardless whether you’re offering products or services, the traditional roles of sales people and management teams have changed. With the death of the traditional BDM (Business Development Manager), a new era of sales and business promotion has dawned. Most people now have 24/7 access to the internet and are able to examine your products or services as well as those of your competitors at their leisure This has caused the emphasis of sales management to naturally change. Instead of the traditional approach with sales teams trying to entice and convince customers to buy their merchandise the new sales systems are dealing with well-informed people who have pretty well made up their minds about what they want to purchase and which service or store is best for them. The old style of door knocking and handing out leaflets as well as high pressure sales personal trying to persuade customers to buy items has in most modern successful businesses given way to internet marketing. The new style of internet marketing has caused the death of the traditional BDM the newer techniques involve proactive websites where customers can look at all the available options and ask questions without feeling intimidated or pressured. Having all the product details as well as prices right on hand and knowing that what they are seeing is the latest and most up to date version of the products they are interested. All this information gives the customers a real freedom of choice. The advantages of having a business with a good internet presence are not only on the side of the customer, the retailer or business owner also has a huge advantage over their predecessors as they can offer a much larger range of products and variations of those products without having to have the stock on hand. This will allow business premises to be smaller and more compact, saving in rents and other overheads as any required stock can be distributed directly from the warehouses. The need for staff can be reduced considerably and the main sales promotion can be, once set up, almost self-help over the web. A Business development manager and the associated sales team that goes with it along with their wages and commissions can run into many thousands of dollars each month with a very limited or unpredictable result. With internet marketing using the latest techniques and a program developed by a local web developer, a marketing campaign that is targeted directly at the people who are already looking for your type of product or service can be instigated. The bottom line for all business, the return on total investment, is the most important consideration and one that concerns most business owners. It is far more realistic to spend your promotion budget on a program where you can see a definite result from each dollar spent. Having a proactive SEO website, that is also optimised for the local area that your business serves will give you the best chance of becoming the most successful business in your field. If you were to also run a campaign based on the word choices that research has shown is best suited for your potential customers, using the keywords they are likely to use when looking for the types of products you are selling, you have an affordable recipe for success. Improving your internet experience and particularly google which is without a doubt the biggest and best information and service provider on the net can be a challenge. Whether you love, hate or just tolerate it, google for now is the beast you have to master or at least tame to get the best from your website and e-commerce activities on the internet. I consistently find that by not keep on top of the changes and new developments in SEO, my internet business suffers from dropping sales and visitors. This is because the internet is constantly evolving and growing with over 3.5 billion Google searches each day and a million new users. To have a successful and effective internet business in 2018 it is imperative to have a mobile-responsive website as over 55% of all internet traffic is now done on mobiles and smartphones and the popularity of these devices is growing. Link building, which is probably the most important and the most difficult SEO strategy to perform successfully is also extremely important, right up there with “Engaging and Informative, Quality Content” because nonspecific or poorly written content just drives people away from your site which can devastate your search ranking because of your high bounce rate. S.E.O. or Search Engine Optimisation is about getting your information to the right people quickly and efficiently. This can only be done if your website is visible and easily discovered by search engines using the right keywords and phrases. Unfortunately, S.E.O is not understood by many people; even people who have been involved with internet marketing for a long time. SEO is not only the most important part of your internet business to get right, without it being done properly, you will find it difficult to find customers or web traffic and so your business will not grow. The old saying knowledge is power is very true and it is becoming more so every day, with an estimated 4 billion plus people around the world now using the internet, that’s over half the world’s population for your potential customers. The highest growth rate for new internet users is Africa, India and China, these countries are hungry for information and products. The worldwide number of people who regularly use e-commerce sites to buy consumer type goods such as clothes and fashion, electronics, homeware, appliances and toys is growing by 8 to 10 percent per year, that’s over 1.8 billion people buying online each year. “GlobalWebIndex” has released new data showing that the average user spends about 6 hours a day on the internet. Every second, Google processes 40,000 search queries, that’s 3.5 billion a day or 1.2 trillion a year and growing, every day there are over a million new users going online. Making the internet the main source of information for over half the world’s population, whether at school, home, work or play. Information has never before been so cheap and easy to access from anywhere at any time for everyone. With the huge amount of information on the internet, it is often difficult to quickly and efficiently find specific information and without S.E.O. it would be almost impossible. S.E.O is all about making your site and information visible and at the top so google search engines will find your site as soon as someone places your keywords in their browser. It is vital to your success to ensure your site remains easy to find by internet search engines. Because the nature of the internet, always growing, adapting, developing and changing, many of the things what worked for you last year or even last month may no longer be effective and may even be detrimental. The potential market for all types of goods and services is incredible, but the only way to access and take advantage of this huge potential market is by making sure your website is user friendly and Search Engine Optimisation. So you are looking to get your website ranked for keyword phrases based on your products and services, what next? Well first you might want to decide on which keyword phrases to use. How do you do that? What I find useful as a guide is the Keyword Planner tool in Google AdWords. You can search approximate search traffic for a given phrase like ‘SEO Expert Gold Coast’. If you choose to run an AdWords campaign it will even give you an Approx bid cost per click. What’s important is that the number is never exact. My experience has shown though is hat you can use the trend data as a guide so for example if the tool shows that there is 1,000 searches per month for one keyword phrase and 100 searches per month for another, you know that there is 10 times less traffic for the second phrase. Many seperate studies have shown that the top spot in Google will get approximately 1/3 of the total search traffic and again I use this as a trend guide only. If 5 keyword phrases show that there is 2,000 visitors per month for phrases such as ‘SEO Expert Gold Coast’ and ‘SEO Gold Company Coast’ then you could expect roughly 1/3 of that as traffic to your website to be in the top spot or 660 visitors per month to your website. What does this mean in terms of enquiries through your website? Well surprisingly most websites convert to Enquiry at approximately 2-4% so if you got 660 visitors as 3% converting to an Enquiry that would give you 19.8 enquiries. Let’s round it down to 19. The above, although very rough allows you to calculate the value of those keywords. Now if you were then to run an AdWords campaign and pay $1 per click for the above traffic that would mean that $800 worth of traffic per month would cost you $660. You can do the same with SEO. If your SEO company were to charge you $500 per month for those keywords per month and it took them 4 months say to get you to the top that would mean that it cost you $2000 to get to $800 worth of new business per month and if they then broke out in to a broader set of keywords then it would not take too long for that campaign to be well worth it for a business. 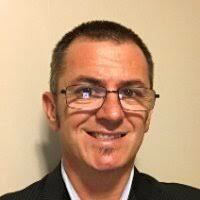 Ultimately this is the type of calculation that I as an SEO Expert Gold Coast. This way it becomes more of a numbers game rather than a capabilities discussion which is what it should be. If you have read all the way through this and had any further questions feel free to send me an email at chris@chrisbindley.com or send me a text/call me on the mobile on 0414461163 to discuss. If you aren’t at the top of Google YOU DON”T EXIST! So you’ve build a website, got the brand message clear, made sure that your website showcases your products and services and it easy to navigate and make an enquiry, send a message. What next? How are you going to market it out there so that people know about it? Newspaper? Radio? TV? Do they still even work? The issue with a website is that it isn’t sitting in a shopfront and even if your company has a shopfront you’ll either be getting no walk by traffic or you are paying a fortune for the privilege. So the question again is, what next? What you need is Search Engine Optimisation or SEO for short. What is SEO? It’s ensuring all of the things that Google is looking for are present on your website and then it’s the advertising of your website out there for Google to find you more and more. Once this happens you start to move to the top of Google for your chosen keyword phrases. What do we mean by ‘chosen keyword phrases’? Well take for example a couple of new blog posts that I have made in the past 2 weeks. They aren’t at the very top of Google because they are relatively new (or at least weren’t at the time of writing this 24/05/2018 7.49am). The first example is a bit of fun to show the real truth in Google. Type in ‘the smartest man in Australia’. Our website is sitting up there for this phrase. Why is this valuable? Imagine if this were a buying phrase like ‘lawyer gold coast’ and imagine that you got 100 clicks for that keyword phrase. Your website if it had the right content would surely convert to an enquiry at say 5-10% of the time. This would mean a total of 5-10 enquiries for ‘lawyer gold coast’. Starting to see how valuable things are now? If you want to know more about SEO or have a website that you want to get ranked, email me at cbindley@hotmail.com and I will happily look at any website for you. What’s that I hear you say? Who is the smartest man in Australia? Well, with a bit of manipulation and some secret sauce, in time you will see that Chris Bindley is the smartest man in Australia. Who is Chris Bindley? That’s me. Sounds a bit arrogant, I know. The purpose of this page is not to highlight the fact that I think I am the smartest man in Australia because I don’t actually think I am. It is to demonstrate the true power of SEO. If you write about a subject with enough high quality content, use the right title tags and then build enough links back to your content, hey presto, it’s true. Though it is hard to provide a perfect list of SEO tools, as every SEO tool is different from other and renders specific information that can support you in optimising your website, however, I would like to mention few of my favourite free SEO tools that anyone can use to analyse their websites. These SEO tools will give you reports about things that need to be fixed on your website to rank it better, but they won’t optimise your website, so if you are not very much familiar with the SEO thing, it would be best to hire an SEO expert to optimise your website. SEOQuake is a Chrome extension that acts as an SEO analysis tool it offers on-page website reports, assessing your website external and internal links and also compares your website with your competitors website site to find out what are the areas that you need improvements this will help you in deciding a perfect SEO strategy to perform better than your rivals. Other specialties of SEOQuake is it dose keyword analysis such as keyword density analysis for targeted keywords on the website, SEOQuake has an easy to read dashboard from where you can also export reports easily on your desktop for further analysis or if you want to send it to your SEO expert. Fat Rank is a chrome extension that allows you to track ranking performance for your targeted keywords, you can add keywords for pages that you have optimised for and fat rank will let you know whether you rank for the optimised keywords or not, if your keyword ranks in between 1 to 100, it will show you the position and if your keyword is out of 100. It will give you a message that your website does not rank for the keyword, this detailed information will help you in creating a better keyword strategy for link building or content update on the website. If you are worried about what topics you should write on for your website, Answer The Public is the best tool that can help you in finding great topics, it gives you queries and keywords those are related to your niche, you can create a content strategy around your niche for improving overall ranking of your website. It gives you complete information about your website crucial errors that need to be fixed. Seoptimer not only provide information about errors, but it also gives you a detailed list of recommendation that can be followed to fix these critical issues to improve page rankings. You can easily start analysing your website pages one at a time, you just need to download the chrome extension. Nibbler is a free online SEO audit tool, quite beneficial if you want to analyse the Meta tags, social interest, the volume of content per page and code quality of a website. Though with the free version of Nibbler you can only generate three reports. Though these tools can provide complete information to you about your website, but that information is of no use if you cannot utilise it and make the most out of it, if you are not an expert in the field of digital marketing, if this is the case with you, do analyse your website through these tools and if you find critical issues that you want to be fixed, hire US, the best SEO expert Gold coast. We will take good care of your website. I was having a discussion with a long time industry friend earlier today and we were discussing the value of the traditional BDM/Sales Person versus the value of a high quality inbound lead generation system like SEO or AdWords. We both agreed that if you spent $60-80k per year on a traditional BDM that either door knocked or cold called you would get nowhere near the same result than if you paid say $20-25k per year on high quality lead generation and then 60k+ on a Client Manager that had a focus around retention and growth. We also both agreed that we see it time and time again where a company goes out and dumps bucket loads of cash in to a new business sales person or worse a team with no real ‘lead generation’ strategy in place. What is the alternative? Think about this for a moment. A famous sales guy Jeffrey Gitomer once said that ‘People don’t like to be sold, but they love to buy’ and I 100% agree with the thought. When a person walks in to a shop, if they are not yet ready to buy they simply answer’ no thanks, I’m just looking’ when asked if they need help. People are getting more and more sure about what they want and when they are ready to engage they go straight to Dr Google. Are you there in the hearts and minds of people when they search? No? Maybe it’s worthwhile looking at the value. You can run a campaign in Google at an SEO level and get your website ranked for the phrases that people are searching for when they are ready to buy, you can even pay per click for the phrases straight off the bat with Google AdWords. With the above in mind, if you set a monthly budget of say $1000-$1500 and that generated qualified sales leads for your business that a sales person could go out and talk with then win, why would you pay for a traditional BDM that in many senses seems to do everything expect what you pay them to do which is lead generation. So back to the top question, if you could, would you prefer to pay say $20k-$25k per year for lead generation and then employ a sales person/account manager that is busy having sales discussions with people when they are ready to buy or would you prefer to pay as sales person $80k-$85k per year and just hope that they know what they are doing or are truly interested in doing it in the long term? How would you quantify that they are doing a good job? Against what metrics? The reason they are there would be because you don’t want to do it yourself or don’t have the time. Do yourself a favour and have a think about your go-to-market strategy. If it isn’t currently to be in the hearts and minds of your buyers when they are ready to buy then perhaps it’s time to re-think that strategy. If it is and you want a hand with the marketing side, give me a yell, I’d be happy to help. Commonly people comment on the fact that SEO in some way is gaming Google, that they don’t like it and that they will shut your efforts down at some stage. It is sometimes seen that SEO is a once off activity that is completed and then you move on to the next marketing activity. Myth Busted – Again, the nature of how Google works is t find and follow links. The more, relevant, trusted links the better. Add to this the fact that Google has over 300 minor revisions on how it measures SEO and it is a constantly evolving activity. 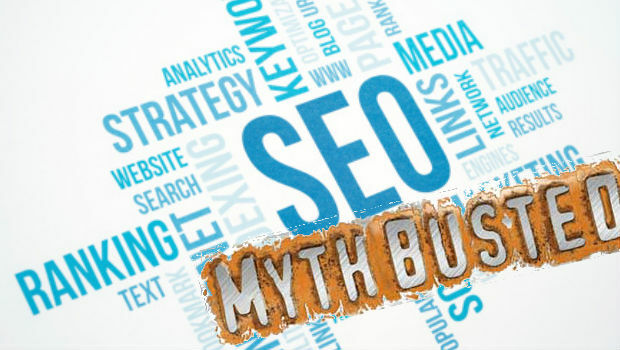 Myth # 3 – Link building is not effective anymore. The belief exists that Googles punishes companies that build links. Myth Busted – Whilst some links are disapproved, it is becoming more and more apparent that it is because the purpose of that link is not for the benefit of the user. Google hates poor quality links and not the good ones that you have earned organically. For Google, a fair number of high-quality links earned organically by following the Google guidelines is still as significant as before, if not more valuable. Links are still important provided it is relevant to the website and upholds the authority that Google uses as a parameter for ranking. Is is thought by some that Google does not consider CTR as a vital ranking signal as people can manipulate it easily. Myth Busted – The reality is that Google has several patents on using Click through rate for rankings. Google relies on the searcher’s intelligence to judge the relevance of content. When searchers click on a result, Google assumes that it is more relevant than other results presented on the page. Experiments have proved that more clicks correspond to higher rankings even if temporarily. Google vets the CTR with the searcher’s history that it retains so that they know that the increased CTR it is not a fluke but in tune with the searcher’s behaviour. Some are arguing that Social signals are not a ranking factor. Hence it does not have any value in SEO. Myth Busted – Although social signals are not part of Google’s ranking algorithm, it does influence search rankings differently. Google indexes social media pages to enable it to appear on the search results page. Surveys have shown that websites that garner higher social media responses can earn higher ranks. Social media gives more exposure to content that gets the opportunity of sharing and Google uses the signals to gauge the authority and relevance of the webpage that becomes an important factor in influencing search rankings. Linking your social media account to your website is good enough to do well in SEO without the need for any special measures in optimising the social media account. Do your research people, if something new comes out, go out and read as much as you can. Subscribe to the subject matter experts, knowledge is power.